some words about where it all begun to where his art is now. Aero has been drawing and painting from the early nineties and has developed a career as a graffiti artist focusing his skills in community / youth projects with the aim to encourage and inspire others to experience ART! and get creative. His interest in graffiti art started in the 90's living in south London seeing all the new graffiti art being painted on a daily basis with styles heavily influenced from the 80's graffiti phenomenon which swept across the city and uk bringing neglected surroundings to life and inspiring many like himself to seek adventure within the graffiti world. Searching for fresh graffiti art every week, boarding painted trains and visiting large track-side productions with full colour Graffiti emblazoned across the walls all helped to heighten the desire to paint big and too search high and low for latest pieces of art in this dirty corporate polluted concrete city and to find out more about the "underground" art movement and it's history. He started like most artists spending many hours a day drawing and sketching letter-forms on paper long before picking up a can of car paint, being ready with a sketch / plan was the only advice put forward. Experimenting with spray paint came as a natural progression from using traditional art tools i.e. paint brushes, pens and markers. Through dedication he grew to understand some of the boundaries of using spray paint and the methods used to create large pieces of art and by developing his skills he became self-taught. 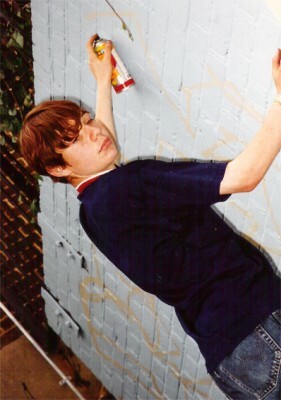 A few years past and he was asked to paint murals for his local youth service which in the late nineties got him involved in graffiti workshops and programmes within the local community, this is where creating public murals all started. 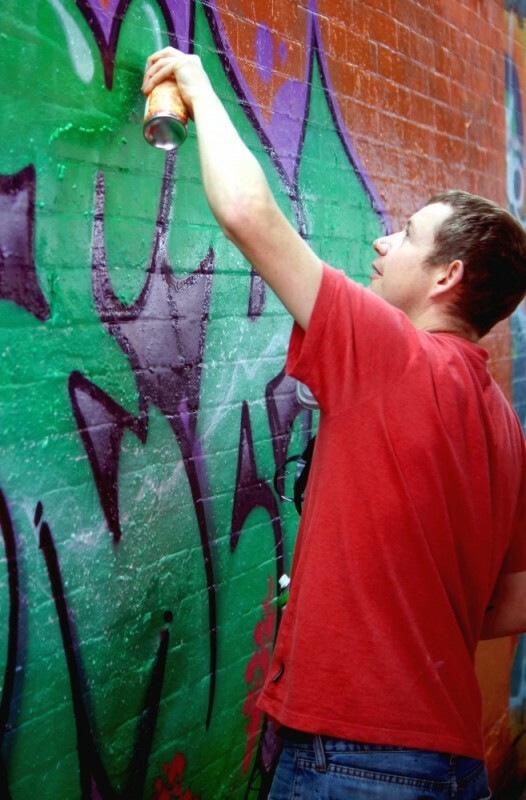 He has managed to mix his graffiti art background with youth work facilitating art programmes and mural workshops to help engage young people to be creative and encourage community's to be more expressive and take ownership of redundant spaces around them with art. He has worked alongside many youth service organisations over the years including: councils, housing associations, crime intervention groups, charities and outreach - detached youth projects across London and the surrounding county's. He strongly believes that working with young people and engaging them through art helps build confidence and develop there own identity to express there ideas and views in a positive, educational and artistic way. Aeroarts has been providing a creative outlet for over 20 years for young people aged between 8 to 25 years and giving communities the opportunity to be involved in successful workshops / projects working with experienced artists which participants reflect on with self achievement and are proud to be associated with. Our murals encourage self belief, life skills, problem solving, creativity, motivation and importantly uplifting young peoples views on challenges that lie ahead of them in the future. This is just a brief insight of the history behind Aero Arts and the work he does, there has been many other art projects and commissions over the years and there will be more for many years to come!